Grating the outer peel of lemons, limes, oranges, and grapefruits releases concentrated flavors that reside in the oils of the fruit's skin. A little zest goes a long way toward punching up salads, stews, grilled meat, and drinks. Done right, it doesn't take all that long, and because of the pizzazz zest adds to foods, it's a skill worth mastering! Citrus peel has several uses: You can candy it, freeze it, dry it, grind it with spices, add it to baked goods, garnish with it-the list goes on! And supposedly you can zest with a vegetable peeler; I've tried several times and been less than impressed with the results. I'm guessing you need a very sharp peeler for this technique. Let's just say using a peeler is better than nothing, but probably a last resort. The results you want drives which tool you use, because each creates an entirely different product. 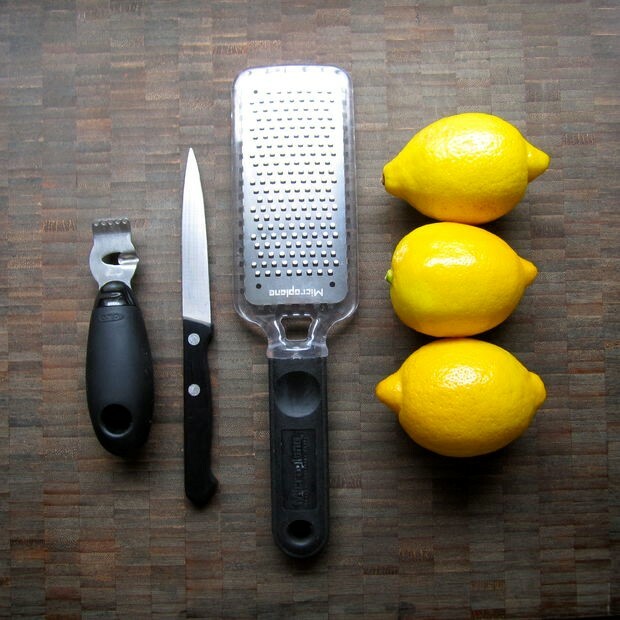 Using a grater or microplane is best for creating zest for baked goods, salad dressing and vinaigrette, or other cooking that requires tiny zest bits; using a paring knife is great for candied lemon or orange peels; and using an actual zester is great for decorative zest (stringy curls of peel for garnishing, etc). Also, a note about which fruit to buy: Organic produce is best since nearly all conventional produce is coated with wax. The wax is difficult to remove and can add an unwanted flavor. However, scrubbing the fruit under hot water does some good if you don't have organic fruit. 2. Choose the right tool, depending on the results you want. A microplane is an ideal tool, because its fine holes zest only the peel, not the bitter white membrane beneath. If you don't have a microplane, the fine side of a box grater is a good alternative. Glide the fruit across the plane. Hold the handle of the microplane or box grater in one hand and hold the fruit in the other. Glide the fruit down the grater from top to bottom, pressing hard enough that you take off only the outermost layer of skin. Do this only once or twice in the same spot. Any more than that and you'll reach the white membrane (pith), which is nastily bitter. Rotate the fruit in your hand and repeat the action. 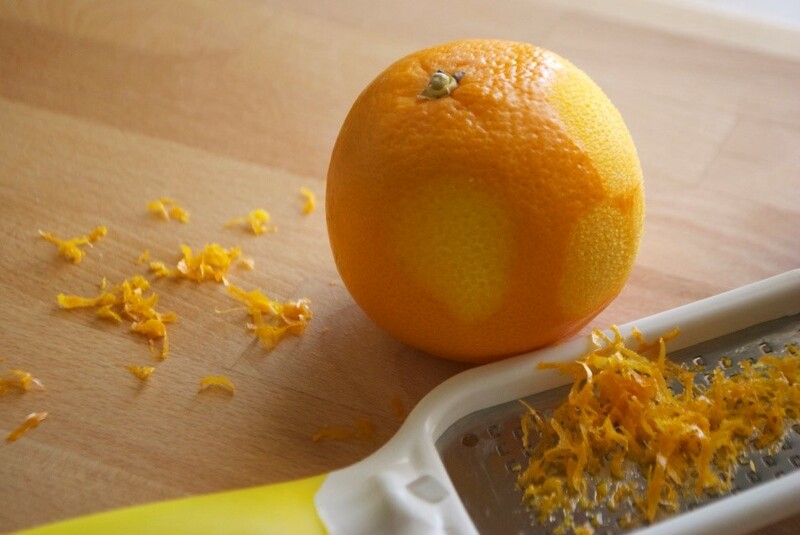 Grate your citrus from end to end until all outer peel is removed, or until you have the amount your recipe calls for. 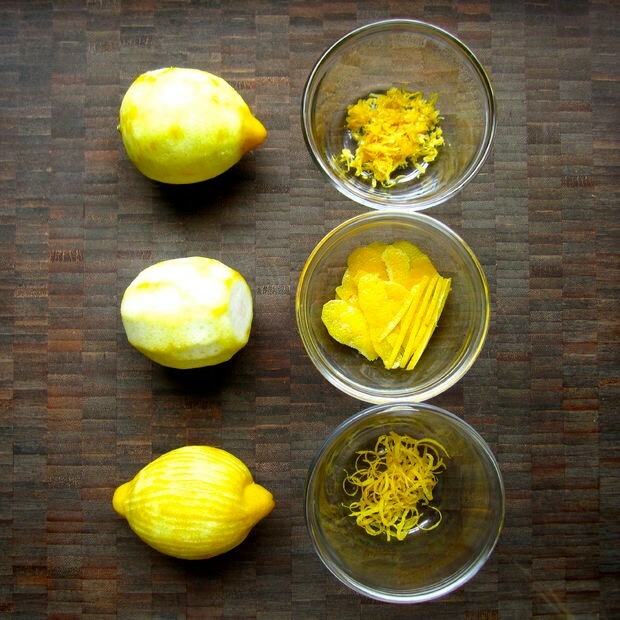 And here are a couple citrus tips: Strips of zest can be cut into thinner pieces or finely diced with a small knife. 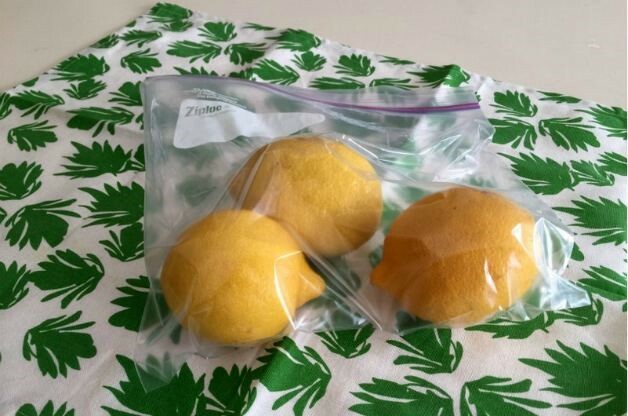 And whole lemons and oranges can be frozen in a re-sealable plastic bag. Then just grab one and zest what you need and return the fruit to the freezer. After you've zested the entire fruit, add it to your smoothie (half a lemon in a green smoothie is amazing! ), tea, or lemonade. There are many recipes calling for different types of citrus zest, but one of my favorite applications is a citrus vinaigrette. A basic all-around vinaigrette has an oil to vinegar ratio of 3 to 1 (3 parts oil, 1 part vinegar). To make a basic French vinaigrette the ratio is 1 part emulsifier (usually Dijon mustard), 3 parts vinegar, and 9 parts oil. With the correct ratio you're free to season and flavor the vinaigrette however you like. Place all ingredients except citrus zest in a blender and emulsify. Stir in citrus zest by hand and pour vinaigrette into serving container. Chill any unused portion. Can store for 1 week.